Maddi Quail-Gates is my best friend. We aren’t the type that spends every day in each other’s pockets, or need reassurance that we’re friends. We know it. Maddi is one of the most inspirational people I’ve ever met. She’s incredible smart and talented but sometimes she can’t see it. 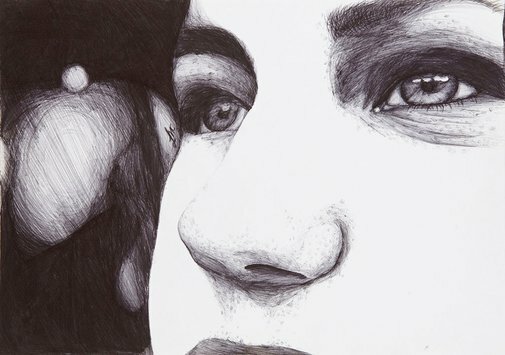 So if one ballpoint drawing of her can make her see how amazing she is, the cramping hands and stains are well worth it. Maddi is my best friend, and the whole world should know it.